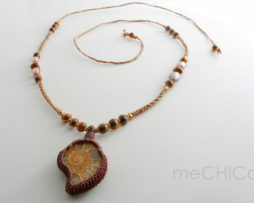 The pendant is made ​​of ammonite, a fossil. 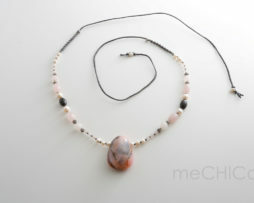 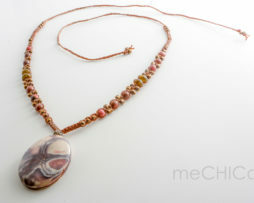 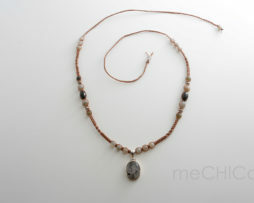 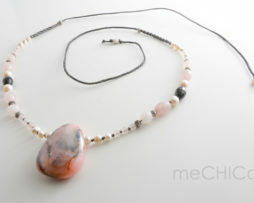 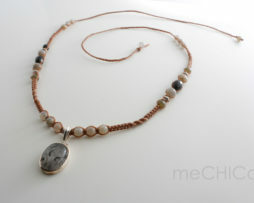 The pendant is combined with stones of tigers eye and fresh water pearls. 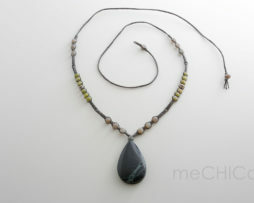 Beautiful and unique necklace of black waxed rope. 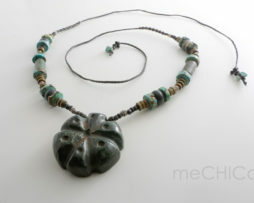 The big pendant is made ​​of pre-hispanic jade from Mexico. 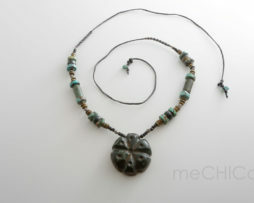 The symbol of this pendant is the holy plant peyote. 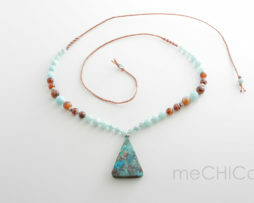 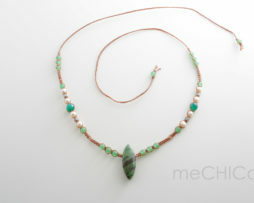 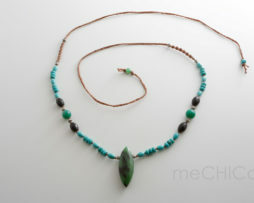 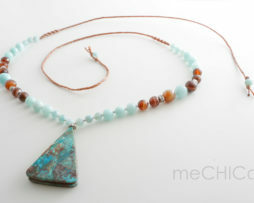 The pendant is combined with stones of jade, turquoise and cats eye beads for good luck. 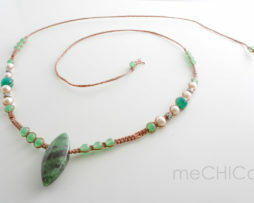 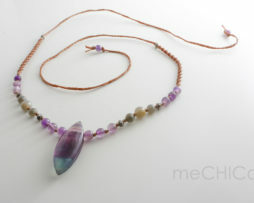 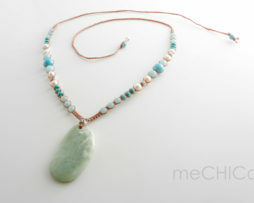 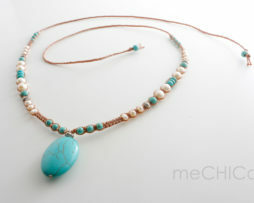 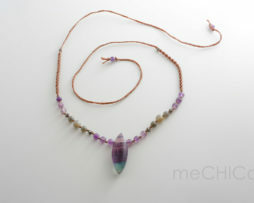 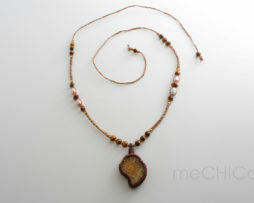 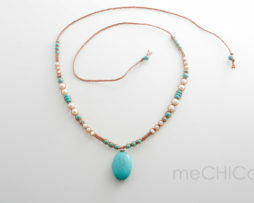 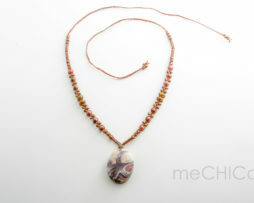 The handmade necklace can be knotted in various lengths. 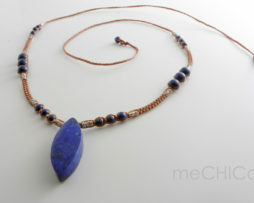 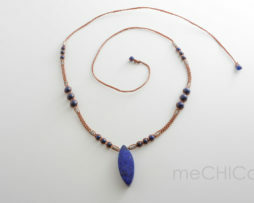 The pendant is made ​​of lapis lazuli, and is combined with stones lapis lazuli. 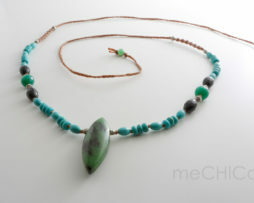 The pendant is made ​​of fuchsite, and is combined with stones turquoise howlite, black onyx and agate. 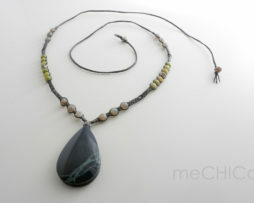 The beautiful silver pendant with tourmaline quartz is combined with stones of labradorite and onyx. 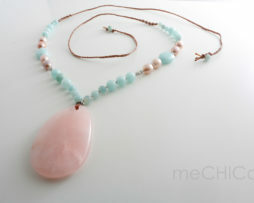 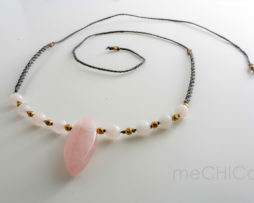 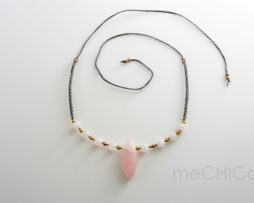 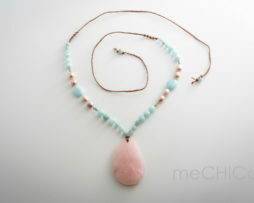 The big pendant is made ​​of rose quartz, (the stone of love and friendship) and is combined with stones of aquamarine, and pink fresh water pearls. 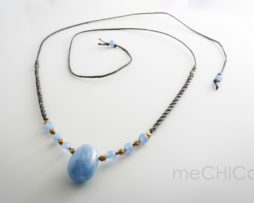 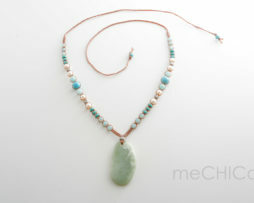 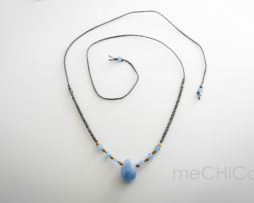 The pendant is made ​​of blue calcite, and is combined with stones of blue calcite and brass beads.